A Survation poll of Conservative voters has shown overwhelming support for changes to the tax system that would ensure companies like Amazon pay higher amounts of tax in the UK. 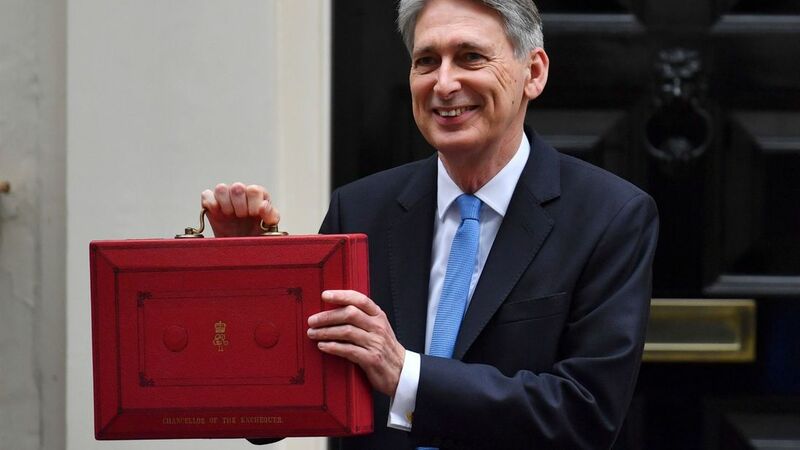 Ahead of this month’s Autumn Budget, four in five people (82 percent) who voted Conservative in 2017 want the chancellor, Philip Hammond, to change tax rules so that large international firms pay a similar amount of tax on their profits as UK domiciled businesses. Amazon UK Services Ltd paid tax of £4.6 million on approximately £72 million of profit in 2017, while Amazon Web Services UK Ltd paid £155,000 on profit of £5 million. Amazon pays a smaller proportion of tax than most UK businesses due to the way share-based employee compensation is treated by the government and by treating it’s UK businesses as subsidiaries. 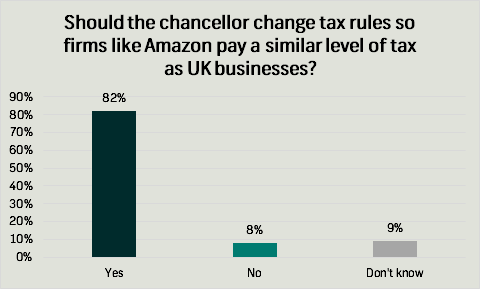 Just eight percent of respondents said the chancellor should not change tax rules, and nine percent did not know. When ‘don’t knows’ are excluded, 91 percent of respondents said the chancellor should change the tax rules, against nine percent who said he should not. Survation polled 1233 people in Great Britain who voted for the Conservative party in the 2017 general election, on behalf of 38 Degrees. Fieldwork was conducted 21st-24th September 2018. Full results can be found here.